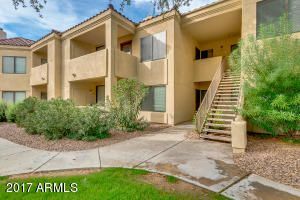 A beautiful 1 bed, 1 bath property located in Scottsdale is now on the market! This beautiful apartment-style home features 1 assigned carport parking space, dining and living area with a cozy fireplace, lovely balcony, and neutral paint. The elegant kitchen is equipped with ample cabinet and counter space, a pantry, and matching appliances. Inside the gorgeous master bedroom you will find a private balcony entry and a spacious walk-in closet. Part of a fantastic community with a clubhouse, pool & spa, tennis court, and fitness center, this is sure to be the home you've been looking for! All furnishing included. Hurry and schedule a showing before it's gone!